Gautama Buddha Ripple Effect Portrait iphone x case by Arun Sivaprasad. Protect your iPhone X with an impact-resistant, slim-profile, hard-shell case. The image is printed directly onto the case and wrapped around the edges for a beautiful presentation. Simply snap the case onto your iPhone X for instant protection and direct access to all of the phone's features! There are no comments for Gautama Buddha Ripple Effect Portrait. Click here to post the first comment. 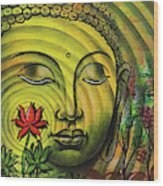 Gautama Buddha PortraitGautama Buddha, also known as Siddhārtha Gautama, Shakyamuni, or simply the Buddha, was a sage on whose teachings Buddhism was founded.He is believed to have lived and taught mostly in eastern India sometime between the sixth and fourth centuries BCE. The word Buddha means "awakened one" or "the enlightened one". 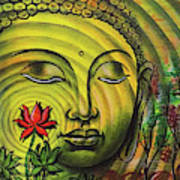 "Buddha" is also used as a title for the first awakened being in an era. 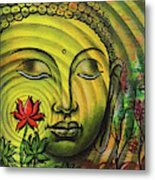 In most Buddhist traditions, Siddhartha Gautama is regarded as the Supreme Buddha of our age. Gautama taught a Middle Way between sensual indulgence and the severe asceticism found in the Sramana movement common in his region. He later taught throughout regions of eastern India such as Magadha and Kośala.